Winnsen innovative Wall Mounted Bill Payment Cell Phone Charging Kiosk 24 Hours Self - Service Terminals APC-06A-4 is in a compact design, it integrates deposit locker, phone charger and 43 inch LCD advertising display as "three-in-one". Apart from making income by charging service, you can also make income by selling advertisement on 15 inch LCD. 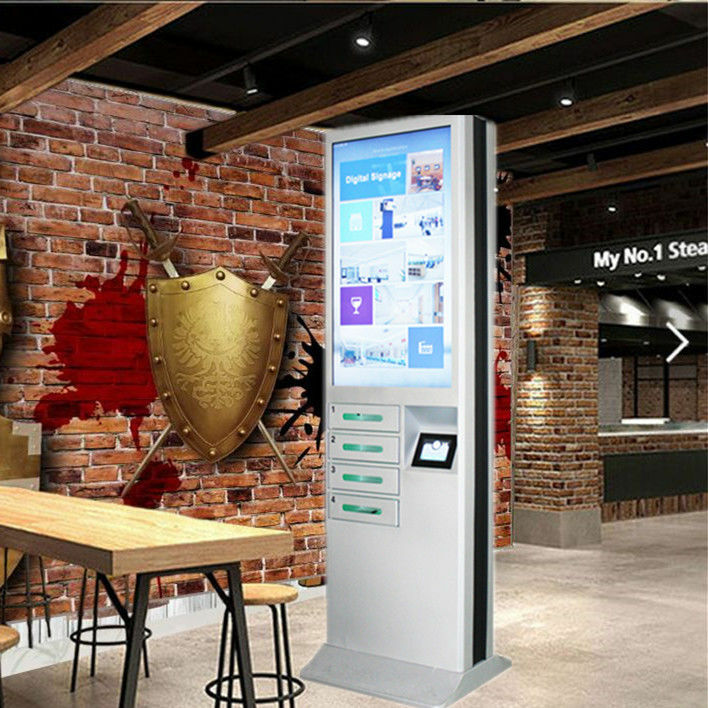 Compared with traditional digital signage and LCD advertising player, Winnsen Mobile Charging Kiosks attract more people to watch promotional videos and pictures since it is with charging function. People around Winnsen Mobile Charging Kiosks would be happy to see advertisement since they could have their device charged on it. APC-06D-1 could be with different language operation instrctions on UI, it is also with option to display multi languages. Users could choose their native languages before they start to charge or retrieve cell phones. This advantages makes it espacially popular in international locations such as airport, international exhibition, large events and etc. 43 inch touch screen displays operation instructions in both texts and pictures, user could easily understand how to operate on Winnsen cell phone charging Kiosk. 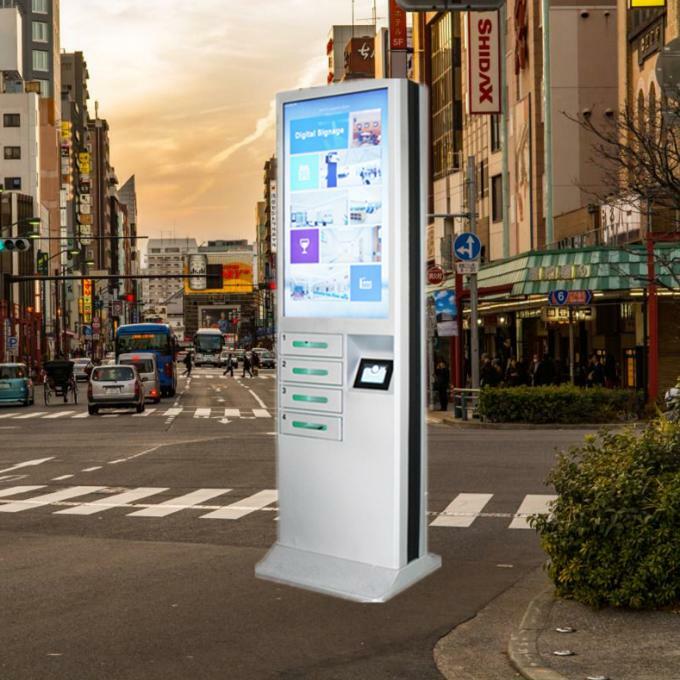 With quick and active response from touch screen, users from different countries all like to charge their cell phone on Winnsen Kiosk. It offers user an excellent user experience, welcomed by those high end locations. APC-06D-1 allows 6 mobiles/iPads charging at the same time. One of Winnsen's divisions is specialized in manufacturing lockers, with more than 20 years experience on metal lockers and more than 8 years experience on advanced electronic lockers, Winnsen knows how to make a good secured electronic locker for cell phone/iPad charging. APC-06D-1 offers report function for analizing daily operation and future business plan.